We want the removal from office of every unrepentant MP, who voted to go to War. Following the illegal invasion of Iraq, our soldiers are now embroiled in an unexplained, "unwinnable" (and until 2010, never-voted-on,) war in Afghanistan. 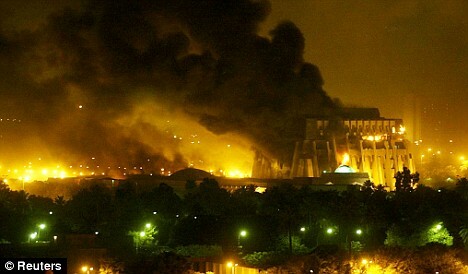 In Spring 2003, Britain and America led the devastating invasion of Iraq, and assault on Baghdad, laying waste to anything that got in their way. Before this there were two votes in Parliament and these MPs voted for war, in spite of the British people and religious leaders telling them not to. 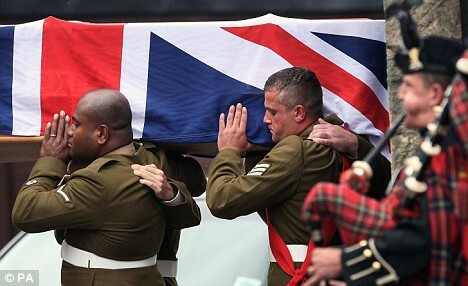 179 of Britain's best have been killed in Iraq, and over 400 in Afghanistan. The attack was without UN authority, and because of the then Prime Minister's "extensive, detailed and authoritative" intelligence that Iraq was a "real and present" danger. This was proved false: there were no Weapons of Mass Destruction, nor evidence of any intent to use them even if there had been. "These service personnel have had their Oath of Allegiance betrayed and their patriotism exploited..." (Reg Keys*). They shouldn't be in Afghanistan or Iraq; many of the military know this though dare not speak out, fearing Courts Marshall and potentially long prison sentences. Even their commanders admit they are part of the problem. Our soldiers are not adequately supported when they return: 1 in 11 British prisoners are former military personnel; the suicide rate amongst the military has multiplied; and very many are being diagnosed with a post-traumatic stress disorder. 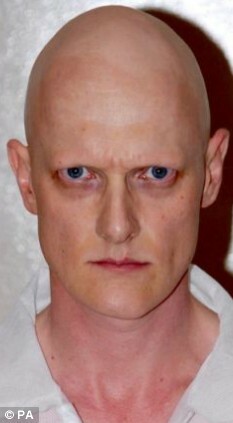 This is Gulf War veteran David Bradley, jailed for the 'execution' of his family after suffering mental health problems. There are other cases of ex-soldiers murdering their own wives and children. Mental health problems of ex-soldiers are rarely brought to the public's attention. It is completely false to believe that veterans can escape death and feel secure. If you have had to brutally kill others (especially children) it is bound to affect you. Many hundreds have had to be given white sticks, hearing aids, artificial limbs and wheelchairs; in every case entirely unacceptable, disabling, and life-changing injuries. 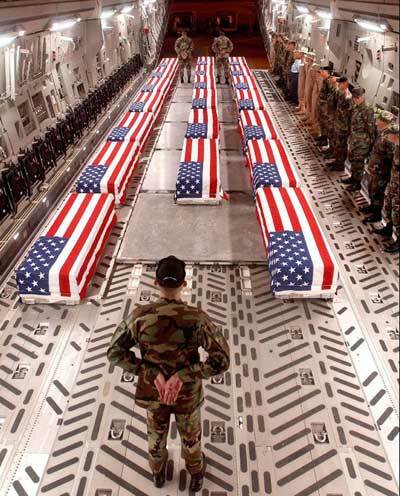 400 injured soldiers were returned from Afghanistan and Iraq in 2008 alone. at least one Iraqi per voter in your constituency. Reputable estimate by The Lancet, of 650,000 to July 2006 (summary). A not unreasonable estimate by an independent pressure group. 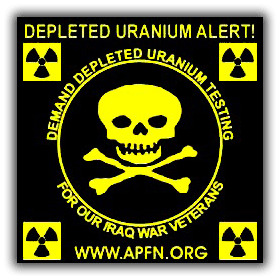 Coalition forces have used 'depleted' uranium (DU) tipped bombs - because DU is hard enough to pierce tanks to kill the people inside. This material is still radioactive, and the debris causes cancer and birth defects - killing and deforming (^) for generations to come. (These would be called 'dirty bombs' if used by anyone else.) 7-fold increases in cancers have already been reported by Iraqi hospitals. Cluster bombs have also been used. Each of these spreads hundreds of self-contained "bomblets". On average 15% of these fail to explode. In effect they become landmines, making large areas of land impossible to farm, and can blow children's legs off if they play there. Princess Diana, who campaigned so passionately against land mines, would turn in her grave if she knew what her country had done. American B-52s launched their bombing raids to Iraq from British soil, at RAF Fairford, Gloucestershire. The UK has also colluded in extraordinary rendition - where people were kidnapped, taken to Guantanamo Bay, imprisoned without trial and tortured. British security services have allegedly taken part in their interrogations. And if pretending to drown prisoners isn't good enough, they are spirited away to other countries where much worse can be done. If the expedition had been about liberating the Iraqi people, you might have expected Britain/U.S. to first apologise for supporting Saddam Hussein for decades, and for supplying him with his weapons and poison gas. "We have to remember that troop deployment was based on the deceit of WMD not on regime change, ...which is clearly against international law." (Reg Keys*). If it had been about 'weapons of mass destruction', surely the troops would have been brought home as soon as it was discovered there weren't any - and a major enquiry launched into how it could have been got so wrong? We believe Britain and the USA to be guilty of a War Crime. In a representative democracy, the MPs who voted for war are answerable to their constituents for the hundreds of thousands of deaths in Iraq and Afghanistan, and must be held to account. The British people have been lied to war under false pretences. If you want a fairer and more equitable world, to avoid more conflicts, and to bring our troops home, do NOT vote for a Warmonger. * Reg Keys, father of Lance-Corporal Thomas Keys, killed in al-Majar on 24 June 2003.